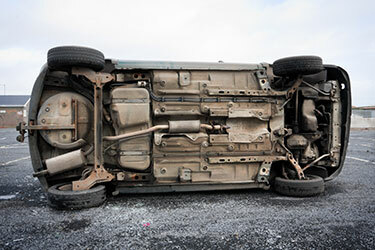 Houston, TX (March 25, 2019) – On Saturday morning a man died in a rollover crash on the Gulf Freeway south. The crash happened at 4:30 a.m. in the 5000 block of I-45 when a Buick pickup truck collided with a Cadillac. The driver of the Cadillac has been identified as 25-year-old Juan Antonio Vasquez. Mr. Vasquez had mechanical problems when his car stalled in the middle lane of the freeway. Authorities believe the driver of the truck did not see the stalled vehicle when crashing into the rear-end of the Cadillac. Mr. Vasquez was trapped in the car and died at the scene. Authorities do not believe alcohol was a factor and the driver of the truck is cooperating with the investigation. Crash investigators will continue to review all factors concerning the accident. If you or a loved one were involved in a car accident, it is important to contact a legal expert to help you evaluate your options. Call (713) 987-7111 or send us an email to discuss your car accident injury case.